Following suit-some people seem to be going back over old shots. Something to do on long winter nights, I guess. I rather like this one. Didn't do much to "revive" it-just a tad sharpened. Not sure it needed that even. A sweet image of this sleepyhead, Cindy. Lovely detail and framing. I’m going through some older files myself. This is a gem! 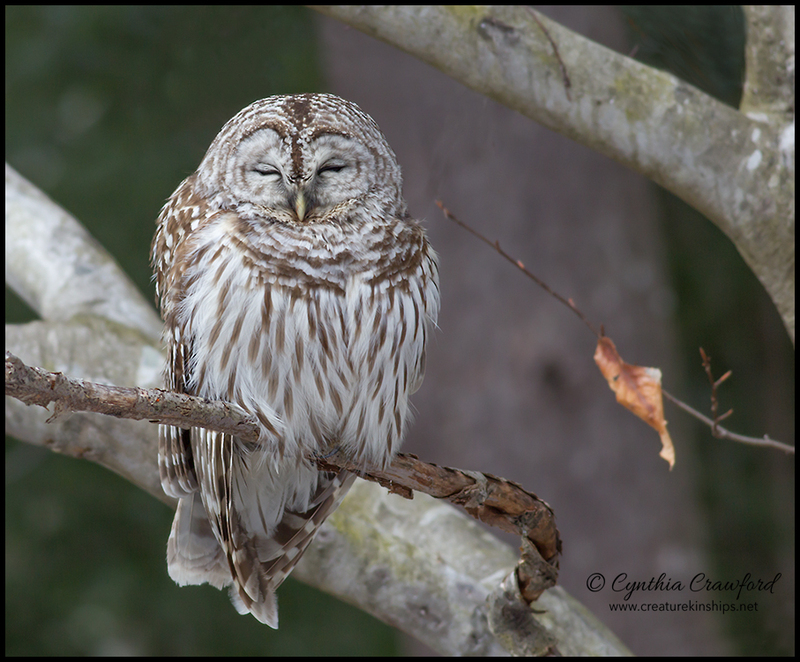 A very nice shot of this sleepy barred owl Cynthia. Nice details on the owl. I think that twig and leaf add balance to this composition. This has been a very good winter for seeing this species where I live. when they are active in the hunting mood, fun to watch, the details on the feathers are awesome, good one CYNTHIA. Nice Owl and composition, Cindy. Beautiful shot and nicely framed. Well done Cindy! I was thinking the same thing few days ago, about the Canon 1D Mark IV I sold. It was a great camera, performance of FF with 1.3X crop. What a lovely composition and such a sweet view of this sleepyhead, Cindy! Beautiful detail and a really appealing image.